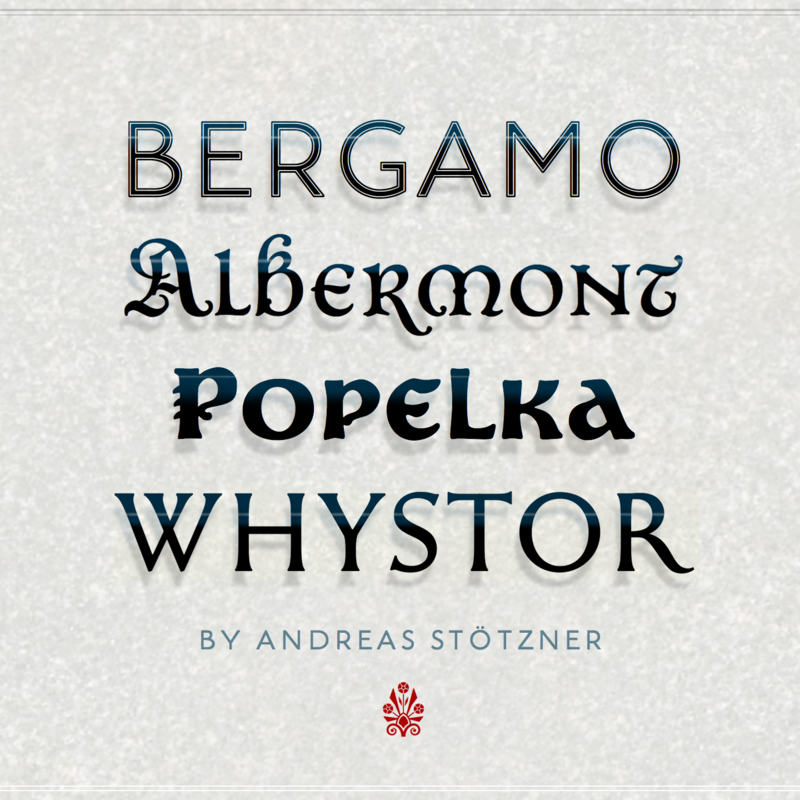 Albermont, Bergamo, Popelka and Whystor. Albermont is yet another member of the popular Abendschroth font family. 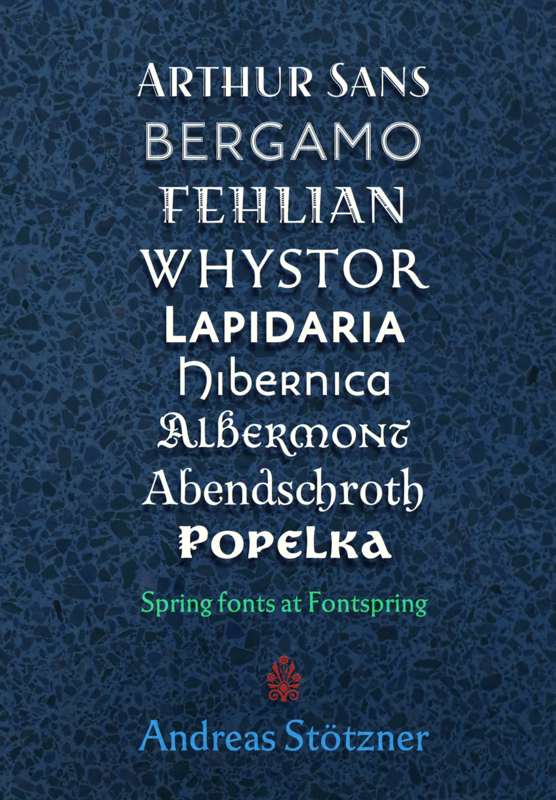 Its peculiarity is the blend of (rather uncommon) fraktur capitals with uncial lowercase letters. It provides also ligatures and some contextual alternates. Bergamo is a beautiful Art-Deco-flavoured geometric sans with a rounded finish and three additional inline variant fonts. About Popelka has much too much been said already in this forum – however. Let’s wish her good luck! Whystor has been inspired by inscriptions of the 16th to 18th centuries. It combines a medium-contrast old fashioned appeal with a calm and noble attitude.